A no-holds bar creation by Ted Kilgore. 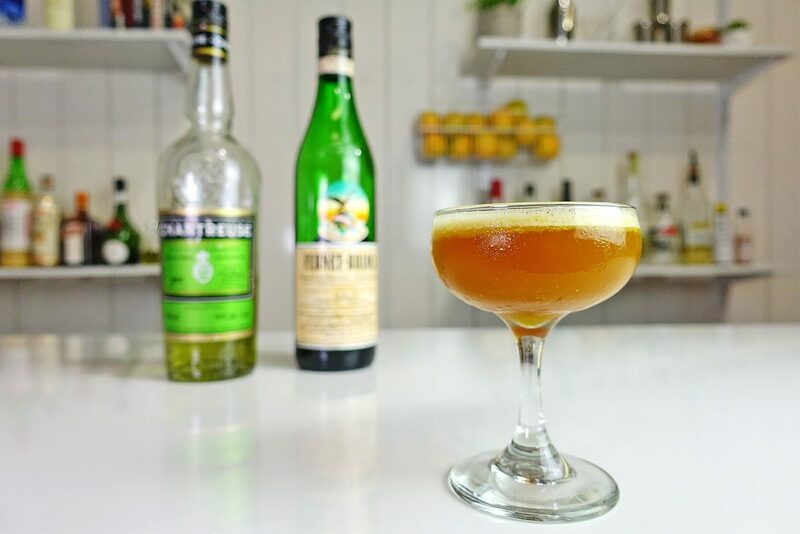 The Industry sour cocktail recipe gets it’s potency from the herbaceous Green Chartreuse and notes of menthol from the Fernet Branca. It surprisingly works! The Emerald Old Fashioned is a fascinating riff on a traditional Old Fashioned. 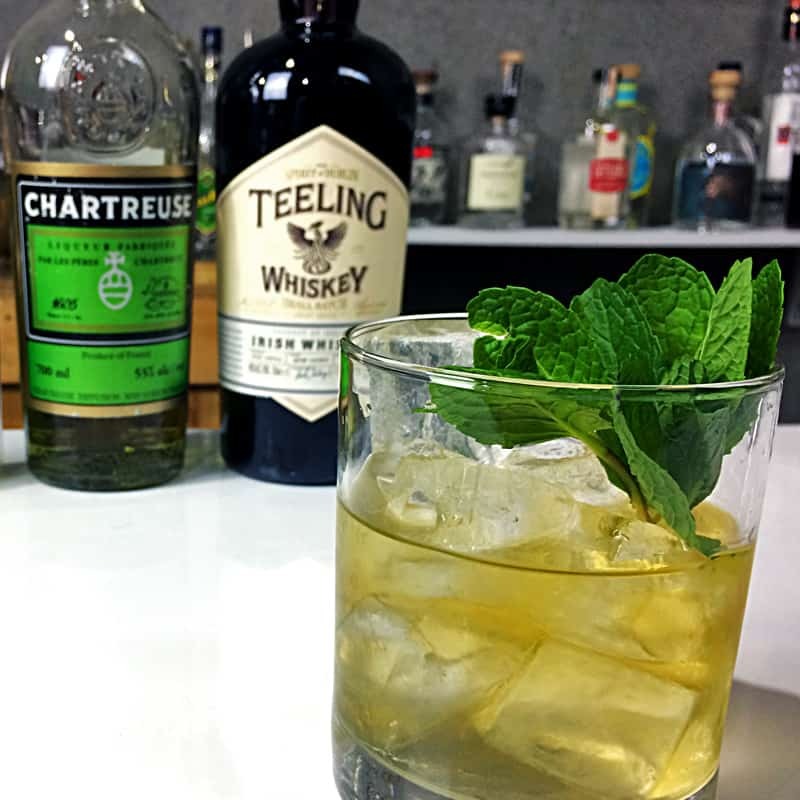 A smooth, sweeter style of Irish whiskey accompanies a touch of herbaceous Green Chartreuse and anise-flavours from Absinthe (the original recipe calls for Genepy, a French liqueur). Surprisingly smooth considering the compilation of liqueurs. 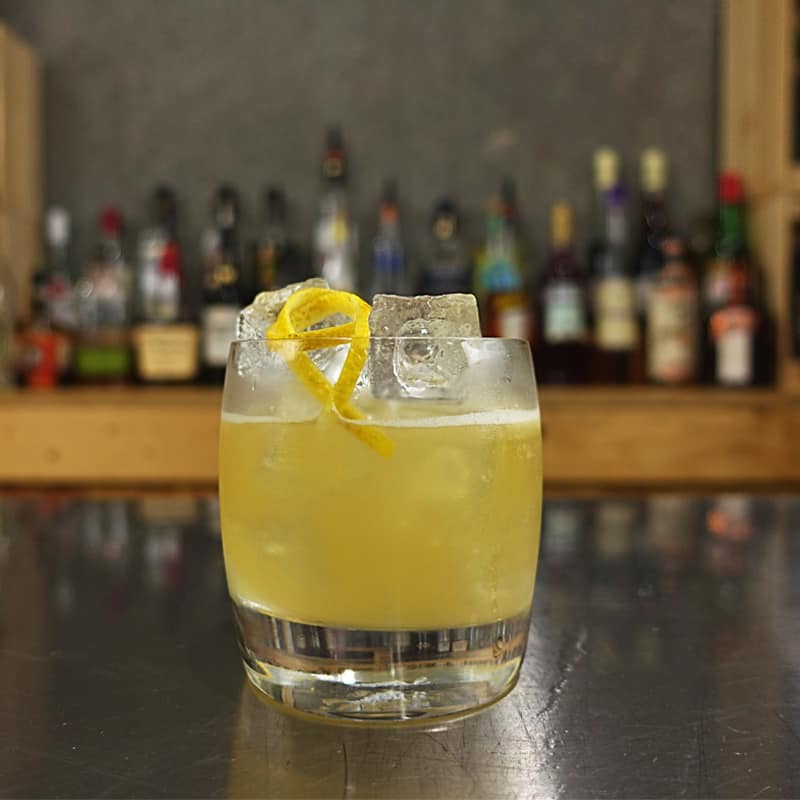 This version of a Brandy Fix was published in Harry Johnson’s Bartender’s Manual and is a tasty example of the classic “fix” cocktail style which were popular in the 19th century.